You’re finally done with school! Forever! Now it’s time to start looking for your first “real” job and get on with the business of adulting. Unfortunately, adulting doesn’t pay much to start usually, and you are likely to find yourself in a small apartment or studio right out of the gate. But just because you live in a small space doesn’t mean that you have to scrimp on style or expression. You can have a beautiful space that seems as big as your personality if you buy the right furniture and use the right design tricks. You’ll make any space feel smaller if you put together furniture in a way that makes people have to walk around obstacles at every turn. You can make your space feel larger and more open by simply ensuring that there is flow between the pieces. Make sure there is a clear path from one end of the room to the other, giving people easy access to where they want to go. Buying small, modular furniture can it much easier to create flow, and it can make the room seem bigger by comparison. For example, a low-profile sofa will be stylish but also won’t seem to take up as much space, which will make the room seem bigger by comparison. 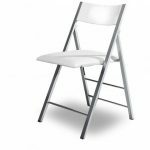 Folding chairs can be stored so that furniture is immediately eliminated when not in use, clearing up a lot of square footage. 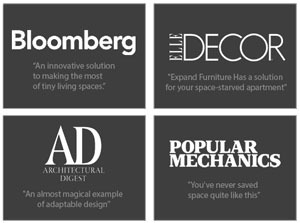 Just experiment with the options to find out what works best in your space. When one piece of furniture can do the job of two, you get all the functionality you need but are able to clear some floor space. 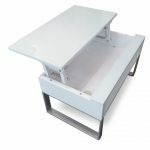 Some good examples of multi-use furniture include coffee tables that can convert to desks or to dining tables, chairs that can expand to become benches, and wall beds that include desks or couches. The more you can include in one piece, such as a wall bed that has a couch and shelves, the more room you can save and the bigger your apartment will feel. Clutter takes away the “white space,” or empty space, in a room and makes it look smaller. Even a pile of laundry on your floor can make your bedroom look smaller. Besides minimizing your belongings, you can reduce clutter by taking advantage of storage. Use storage ottomans, bookcases, closets, and cabinets to keep your stuff out of sight. You may not feel like you have much storage in your home, especially if closet space is at a premium. But you might be surprised at how much storage you can have if you take advantage of all the nooks and crannies in your apartment. 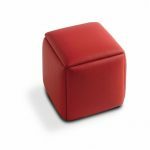 Storage ottomans let you put items in what can otherwise be a chair or a small table. 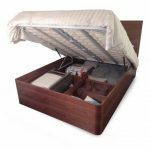 You can also get a lift and store bed that lets you put clothing and other items under the bed in a cabinet that keeps things out of sight. Cabinets are great for storage, but they also cut off the line of sight in the room, making it appear smaller. You can get plenty of storage and make the room seem larger by using open shelving. 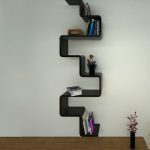 Modular shelves come in all different designs, allowing you to create artistic décor while adding storage to your home. You can also get modular shelving that has colorful storage bins and cubes, adding more decorative elements. You have limited floor space, but you likely have a whole lot of wall space that you aren’t using. You can create more functional space and get things off the floor, making your apartment seem bigger, by using a loft system. Put your bed on the loft and use the area below for study or entertaining. Or create a secluded home office on the loft without having to take up necessary space on the ground floor. The more light that’s in your apartment, the bigger it will seem. Even if you haven’t been blessed with huge, open windows, you can still create plenty of light by using lamps and adding track lighting where possible. Use brighter bulbs in your fixtures, and choose light colors for your paint and furniture to reflect the natural light in the room. Mirrors give depth to a space and make it seem bigger. Put a mirror at the end of your hall, and suddenly, your hall seems bigger. Put mirrors wherever you can in your apartment, including your living room and bedroom. Don’t turn your house into a hall of mirrors, but put up as many as you can without seeming like you’re running a carnival. The right artwork won’t necessarily make your space seem bigger, but it will make it seem better decorated and will give it a big personality. Choose a big statement piece to put over the mantle, or create an impact with several smaller pieces joined together on a gallery wall. Just make sure that whatever art you put up is accentuating the space, not making it look cluttered. Having a smaller home doesn’t mean you are doomed to tripping over your couch every time you walk to the bathroom or to having lonely dinners every night. You can make your apartment seem more expansive and create plenty of space for guests and entertaining by trying some of these hacks. 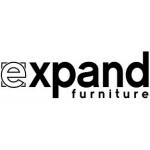 Expand Furniture will help you every step of the way with our stylish, multi-use furniture. 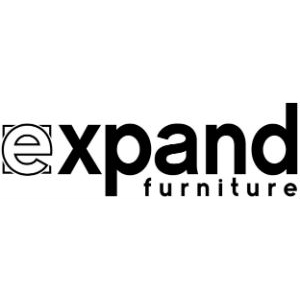 Our chic, modern designs include wall beds, storage ottomans, converting tables, modular shelving, and loft systems. We have solutions for all types of homes, ranging from the smallest studios to large, upscale lofts. 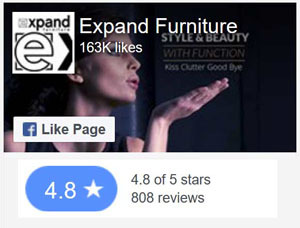 Our goal is to help you get more from your space while also improving its style.